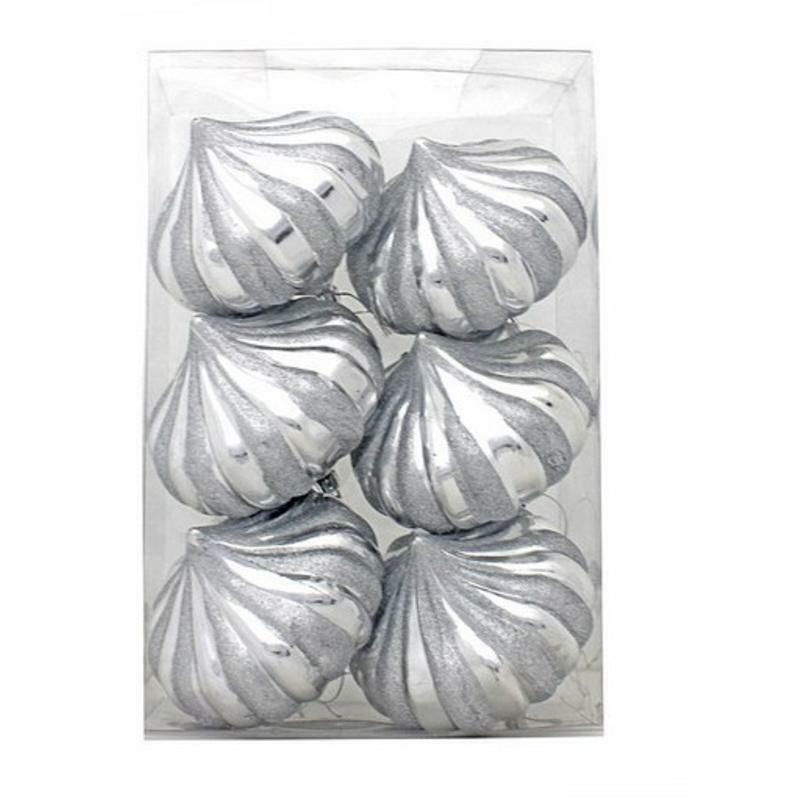 Each package of Silver Onions measures around 8cm wide by 13 in height, and is the perfect item to add to your seasonal decor this Christmas. These are truly beautiful, and each onion-inspired bauble will look like its own work of art. Gently twisting stripes of mirror-like silver are entwined with twists of glittered silver to comprise a shimmering, sparkling ornament that will stand out on your tree, wreath, or window this holiday. Consider sharing some of the six onions included in each package with others; tie them to a wrapped gift, adorn a floral bouquet, or simply hang them on a neighbour’s door to share the spirit and wonder of this magical time of year. These would also be a great item to give to someone who is just starting out, newly married or a first-home buyer, to begin a collection of fine Christmas Decorations that won’t break your budget when looking for a distinctive gift.